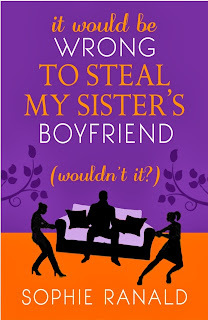 What would you do if your sister waltzed in showing off her newest boyfriend one day, and KAPOW! Like a bolt out of the blue you were instantly, totally in lust with him? That’s exactly what happens to Ellie Mottram when her sister Rose brings home her newest catch: Oliver. Ellie is doing what she likes to do best: hanging out with her not-boyfriend (they hooked up once years ago, and although it was amazing, a relationship was not pursued when Ellie announced to the world at large that she didn’t need a relationship), Ben, watching Master Chef, when it happens. Rose and Ellie are polar opposites. Rose is exceedingly posh, accepting only the finest things in life. Ellie is happy just hanging out, working for causes that she believes in, and being as comfortable as possible. But once she’s caught a glimpse of Oliver, all that starts to change. Ellie quietly wonders to herself if maybe, just maybe, she shouldn’t try to be a little more like Rose. What starts as a simple morning exercise regime ends up with Ellie getting highlights in her hair, getting a new job, and hanging out with new people. She starts seeing less of Ben, and more of Oliver as she emulates her sister’s lifestyle. But when she finds out that Rose’s happiness is just a façade, what will become of her act? And when Rose announces that she and Oliver are engaged, will Ellie be able to do an about-face and find her own happiness? 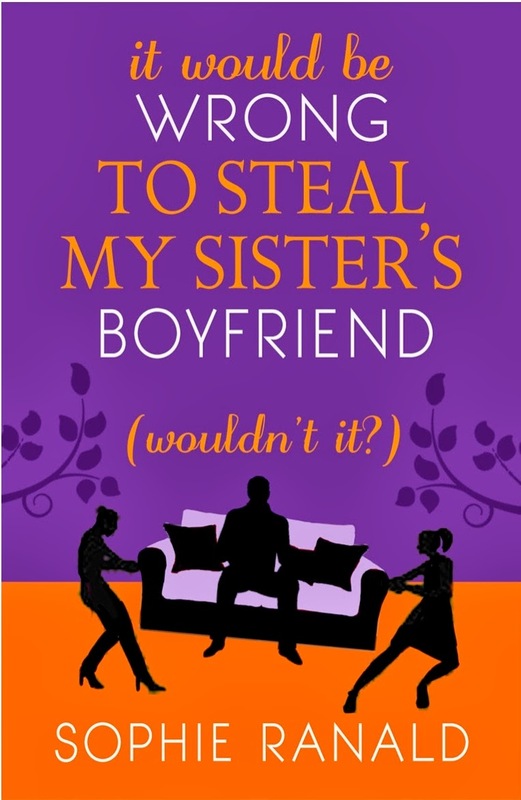 I was delighted with almost everything about It Would Be Wrong To Steal My Sister’s Boyfriend (Wouldn’t it?). Sophie Ranald has put forward a solid first novel with a main theme that could have gone sideways in an instant. After all, the main character is trying to do something so underhanded that it would be easy to just despise her, but she’s painted as a multidimensional, real character with real feelings and real misgivings and apprehension, so she actually comes off as very likeable. Having two sisters myself, I completely understand how two people from the same family can turn out so differently, and their relationship carried a fantastic undercurrent that can only be felt in a family. That singular feeling of knowing that no matter what, your family will always be there for you, even when you’ve had enough of them was woven into the writing incredibly seamlessly. If I were to compare Ms Ranald’s writing to a more popular author today, I’d say it was a mix of Sophie Kinsella and Louise Rennison. Some of the situations were pure hilarity, and I liked that even through the comedy, the sense of realism still prevailed. The only thing that could be improved on in this book (in my opinion) is the title. Eleven words is quite the mouthful, and although the phrase embodies the book perfectly, I’m just not on board with having a title that reads as a full sentence. I’m not sure what I’d change it to, given the chance, but I just don’t feel like it’s the right name for this story. Other than the unwieldy title, though, I really enjoyed this book. The story followed a coherent path, all the characters that needed to be explored further were, and I didn’t feel like the novel was lacking in description or in believability. I wanted to be friends with all the characters, I wanted to take Ellie aside and talk to her about what was going on, and in my mind that makes a great book. I’m definitely looking forward to Ms, Ranald’s next novel. Meanwhile, I’m going to call my sisters and see if they want to borrow this one. It feels like a book that we would all enjoy and agree on, which makes it even more of a win. Thanks to Sophie Ranald for the book in exchange for an honest review. This sounds like a very clever story! I’m interested to find out what happens as this can be a very touchy situation!